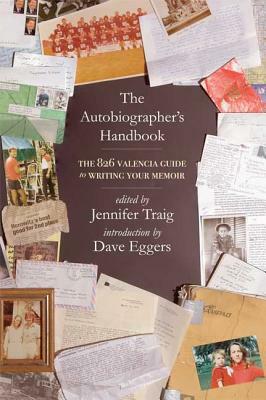 In The Autobiographer's Handbook, you're invited to a roundtable discussion with today's most successful memoirists. Let Nick Hornby show you how the banal can be brilliant. Elizabeth Gilbert will teach you to turn pain into prose. Want to beat procrastination? Steve Almond has the answer. Learn about memory triggers (Ishmael Beah: music) and warm-up exercises (Jonathan Ames: internet backgammon). These writers may not always agree (on research: Tobias Wolff, yes, Frank McCourt, no) but whether you're a blossoming writer or a veteran wordsmith, this book will help anyone who has ever dreamed of putting their story on paper, on writing themselves into existence. Jennifer Traig, a longtime 826 tutor and workshop teacher, is the author of two memoirs—the forthcoming Well Enough Alone and Devil in the Details (2004). She holds a Ph.D. in literature, and her work has appeared in The New York Times, JANE, The Observer (London), and the San Francisco Chronicle.